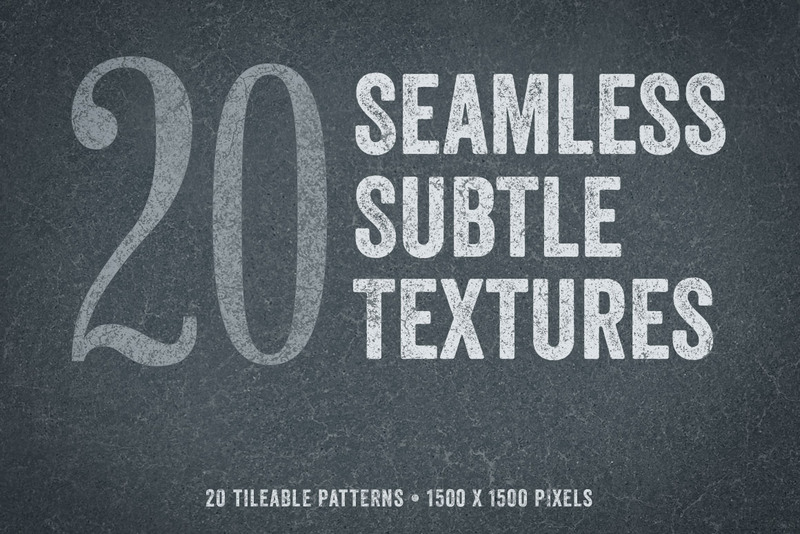 This pack includes 20 seamlessly tileable subtle textures. 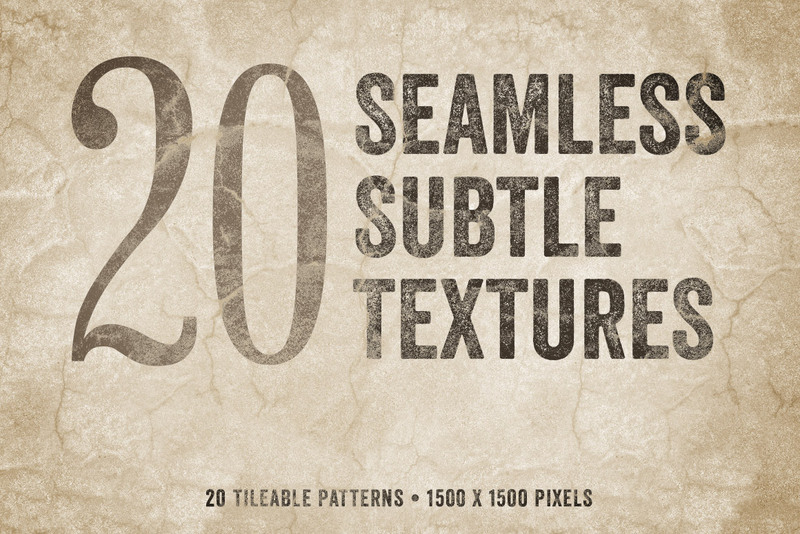 Half of them are are light, the other half are dark, making it easy to use them as overlays or backgrounds for any design. 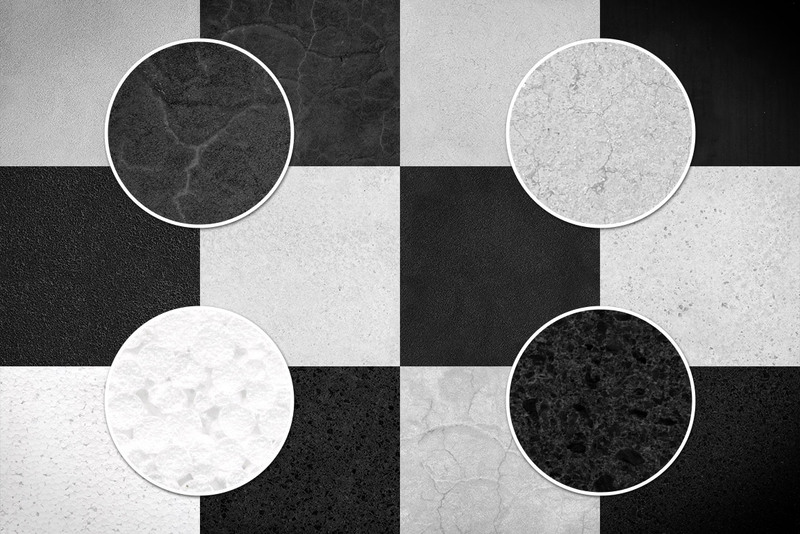 Since they tile seamlessly, you can use them in designs of any size. 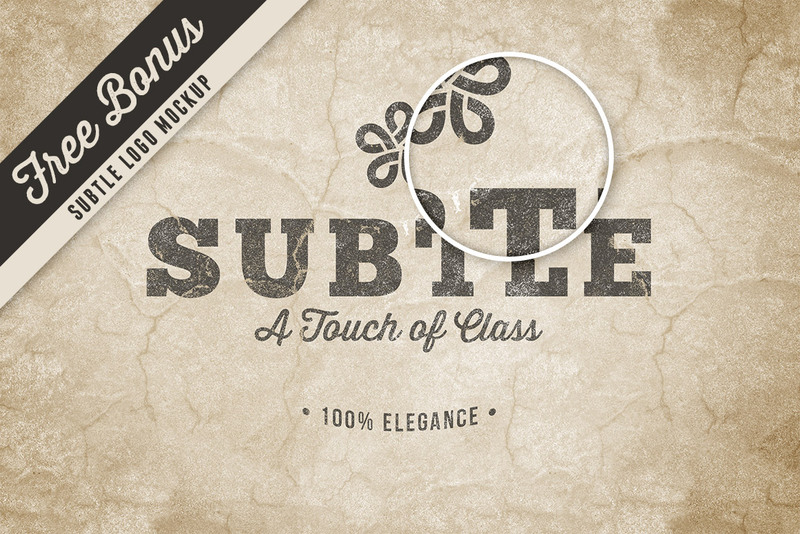 Also included is a bonus subtle logo mockup. Just copy and paste in your artwork to the Smart Object and all the effects will automatically be applied.